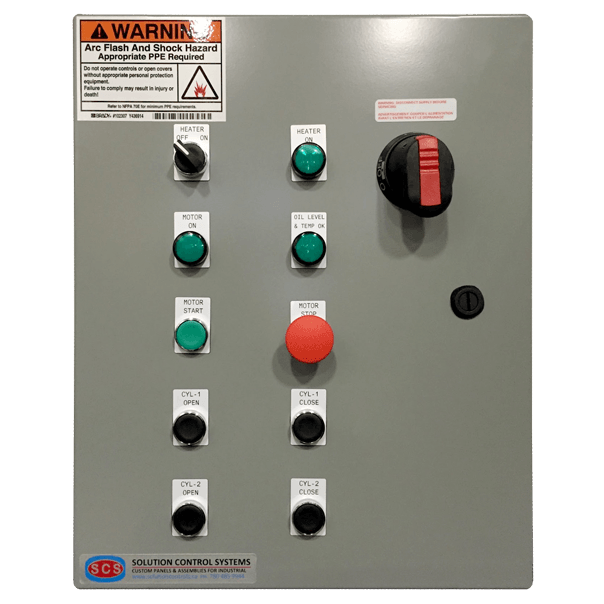 Hydraulic Power Pack Panel - Solution Control Systems Inc. Hydraulic Power Pack Panel - Solution Control Systems Inc. This control panel is for a portable hydraulic power pack which is provides pressurized hydraulic power to various industrial application. The control panel controls the pump motors and monitor pressure and temperature.